NEXT | Did you get the legendary you need? But for players without a big collection of heroes, this week’s rotation is packed with Warcraft heroes, including Chromie, Illidan, Gul’dan, Kael’thas, Li Li, Chen, and ETC. 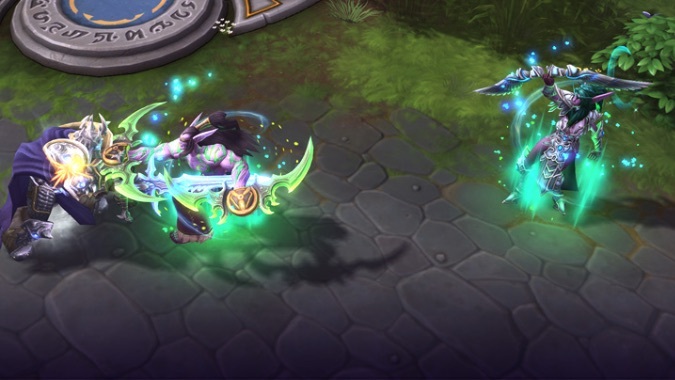 Brand new players won’t have access to all of these straight off — Kael’thas requires player level 5, Illidan player level 7, Chen player level 12, and Chromie player level 15 — but it’s still a great rotation for getting For Azeroth! completed. We have an extra large batch of sales this week, though for anyone trying to do the For Azeroth! event, there’s only one Warcraft hero in the mix: Stitches. However, if you’re looking for Overwatch heroes to pair up with Lucio, they’re all here, with Zarya, Tracer, and even the Widowmaker skin for Nova. Happy shopping! That’s it for Heroes this week. As usual, we’ll see you in the Nexus!